Dr. Elisabeth Hildt is a Senior Researcher, Reader, and Head of the Research Group on Neuroethics/Neurophilosophy at the University of Mainz Department of Philosophy. She is also a member of the AJOB Neuroscience Editorial Board. Recently, non-medical uses of transcranial direct current stimulation (tDCS) which aim at enhancing brain function in healthy individuals have raised public attention (Cohen Kadosh et al. 2012; Fitz & Reiner 2013; Levasseur-Moreau et al. 2013).There are companies selling tDCS devices, and one such company is foc.us, which offers a headset for $249.00 and promotes this headset as an advantage for gaming. With slogans such as: “Use the force: Let the force of electricity excite your neurons into firing faster” or “Stronger, faster, quicker: Excite your prefrontal cortex and get the edge in online gaming”, the headset is portrayed to be a cool and trendy game add-on. However, in first assessments, the benefit of the headset for gaming does not seem obvious. In internet platforms, such as reddit, people exchange detailed instructions on how to assemble and use tDCs devices for self-enhancement. In sum, it seems that there is a community of technophilic individuals who experiment with tDCS devices for self-enhancement or who give instructions for assembling do-it-yourself tDCS devices. In view of this, the question arises: Why do individuals engage in this kind of tDCS self-experimentation? A motive often mentioned is to improve gaming performance or to increase gaming experience; for technology freaks, high performance in a virtual world seems to be very rewarding. People seem eager to experiment with the devices and to present their results to the internet public, to get in touch with other technophiles or to gain credit in the community. Another motive is to write a widely read article in a blog or newspaper on a new and captivating subject, such as recent articles in Aeon magazine or in the Guardian. Some people may aim at being a pioneer in a very fascinating technical field, while others seem to self-experiment just for fun. tDCS self-experimenters seem to be fascinated by the prospect of being able to boost their brains, of having some exceptional feelings of going beyond their limits. Given the context described above, it seems that the individuals involved assume that the non-invasive procedure tDCS does not imply significant health risks. However, it is important to stress that the tDCS applications mentioned above are premature uses of a technology originally designed for medical purposes in clinical contexts. Up until now, very little is known concerning the risks of tDCS for healthy individuals. These include short- and long term risks of repeated tDCS use in healthy individuals, but also negative effects brought about by disproportionate stimulation protocols or the stimulation of inadequate regions of the brain (Levasseur-Moreau et al. 2013; Sehm & Ragert 2013; Fitz & Reiner 2013). Notably, in the tDCS community there are also cautious voices underlining these problematic issues. An advertisement for the foc.us tDCS headset. The situation with regard to tDCS self-enhancement reminds me of the beginning phase of pharmacological neuroenhancement, i.e. the use of drugs, in particular of stimulants such as Ritalin or amphetamines, in order to increase mental performance, to get high, to experiment, to party, etc. With pharmacological neuroenhancement, lots of individuals in various parts of the world also enroll in self-experiments without having reliable information on the benefits and risks of the drugs used. It seems that with tDCS a very problematic process is about to be repeated again, this time at another level. When pharmacological neuroenhancement became public, there were very positive reports in the media and in literature on putative enhancement effects which seem to have encouraged people to try stimulants, too. Rightly, this has been criticized later in the interdisciplinary literature by various authors. Among the insights that followed from this is one that states that it is the responsibility of everybody, including scientists, journalists and other people alike, to give a balanced picture of the situation. In spite of this remorseful debate led in the past, it seems that in the context of tDCS, things are rather similar now. It is again sensational reports that coin the field, this time not often written by journalists or scientists, but by self-experimenting individuals or industrial companies. These reports are facilitated by the fact that in contrast to illegality of the use of prescription or illicit drugs for pharmacological neuroenhancement, there currently is a lack of regulation concerning nonmedical tDCS uses (Fitz & Reiner 2013), which allows a broad spectrum of commercial and non-commercial promotion. Taking this into account, there is a clear need for developing a strategy right now which helps to cope with the societal challenge of non-medical tDCS uses. This includes running a more balanced and scientifically informed debate on the chances and risks of putative tDCS enhancement in healthy individuals, and to seek regulations which serve to guide a field that undoubtedly will be difficult to regulate considering the fact that tDCS can be easily assembled and used. Fitz NS, Reiner PB. (2013). The challenge of crafting policy for do-it-yourself brain stimulation, J Med Ethics, Online First: [June 3, 2013], doi:10.1136/medethics-2013-101458. Cohen Kadosh R, Levy N, O'Shea J, Shea N, Savulescu J. (2012). 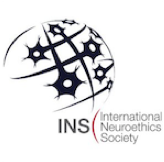 The neuroethics of non-invasive brain stimulation. Curr Biol. 22(4):R108-11. Levasseur-Moreau J, Brunelin J, Fecteau S. (2013). Non-invasive brain stimulation can induce paradoxical facilitation. Are these neuroenhancements transferable and meaningful to security services?, Front Hum Neurosci.7:449. doi: 10.3389/fnhum.2013.00449. Sehm B, Ragert P. (2013). Why non-invasive brain stimulation should not be used in military and security services. Front Hum Neurosci. 7:553. doi: 10.3389/fnhum.2013.00553.